This is the second article on a trip taken by Petswelcome founding partner Fred Grayson and his wife, Valerie, traveling from New York City to Florida with their dog Charlie. The third and final installment will appear next week. When our week at Anna Maria Island, FL, was over, we packed up the car again and headed to the East Coast—Delray Beach, where we have several friends and relatives in the area. This is a “jumping” town, and we got there on a Saturday afternoon, peak time during peak season. Hundreds of stores and restaurants, and as it got later in the evening, the sidewalks were packed with tourists and residents. Because there are lots of sidewalks restaurants, it’s easy to bring your pet with you. Most places will give you a bowl with water, but if you have a portable bowl, bring it along. 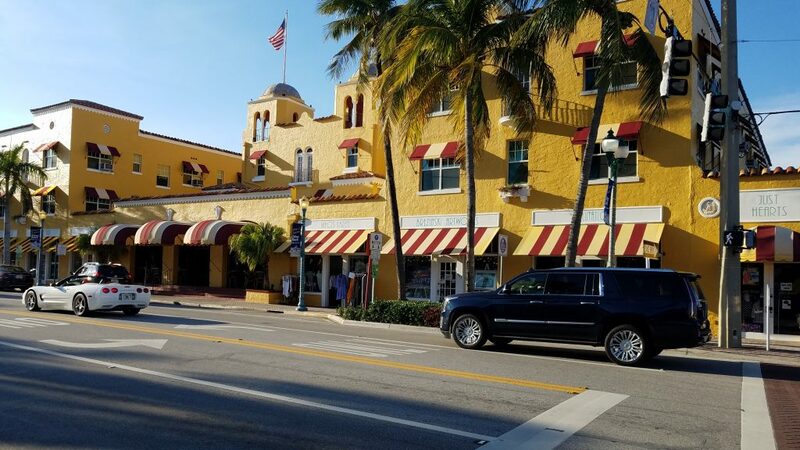 We stayed at the Colony Hotel and Cabana Club, ($25 per night pet fee), right on Atlantic Avenue, in the center of town. Every time we passed the front desk, someone popped out with a treat and greeting for Charlie. There are lots of communal sitting areas, both inside and out where dogs are permitted. Charlie quickly became the hotel celebrity. Both the staff and guests knew him by name and wanted to pet him, and since many guests had left their dogs at home, Charlie became their “pet fix.” The hotel has a private beach club about a mile away on the Atlantic Ocean, with lots of parking, and dogs are permitted on part of the beach. There are cabanas, a pool, chaise lounges, and a restaurant. They offered an excellent buffet breakfast in the lobby, and you could eat there or at one of the tables on the front porch, overlooking the street. The porch was also great for people watching during the day or having a drink when the bar opened in the afternoon. The rooms, at least ours, were relatively small, but big enough for us and a dog. We would take Charlie out in the morning after breakfast (his and ours) and arranged with the front desk so they could make up our room for the four days we were there. Be sure to check with any hotel what their policy is for housekeeping, as each hotel has its own system. We always put a “do not disturb” sign on the door when we left Charlie in the room. Next stop was Savannah, GA. A little longer trip from Delray Beach than we had originally wanted. Next time we would stay in St. Augustine, FL as a midway point. The Andaz was extremely pet-friendly, although the pet fee was $150 for 1-6 days. That was pretty steep, but we decided to splurge since we had wanted to stay there since our last trip to that area. 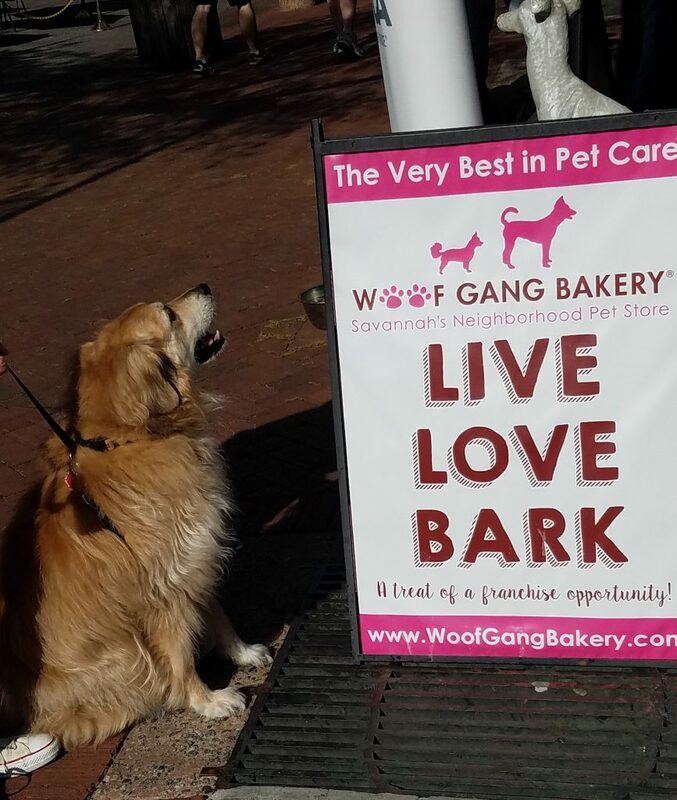 The hotel had a selection of treats for Charlie at the front door, and we were only steps away from Woof GangBakery (there are four of them in Savannah), a destination for every dog. A plethora of palatable pet pastries (forgive the alliteration), with samples for your pet. We got away with only a small bag of various treats, although Charlie was able to help himself to a few treats that were at his level. 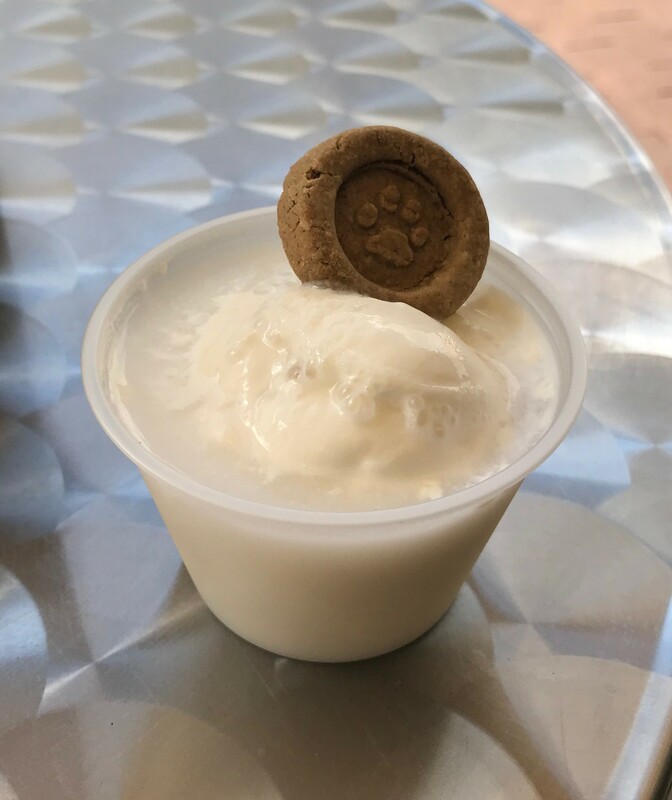 Savannah is a walking city for both you and your pet, and we made our way to Leopold’s Ice Cream shop that offers ice cream for both humans and pets. Charlie had their famous free pet sundae, which was a scoop of vanilla ice cream topped with a dog biscuit. Our ice creams did not come with a biscuit. We also took a trolley ride (without Charlie) to see the rest of the city which is filled with dozens of little squares and parks, and Southern charm. On the first morning we had breakfast outside at the Goose Feather’s Café so we were able to bring Charlie. That night we had a delicious dinner at Vic’s On The River and on the second night as we were strolling along West Broughton Street (a main drag) we saw a sign that said Jazz. 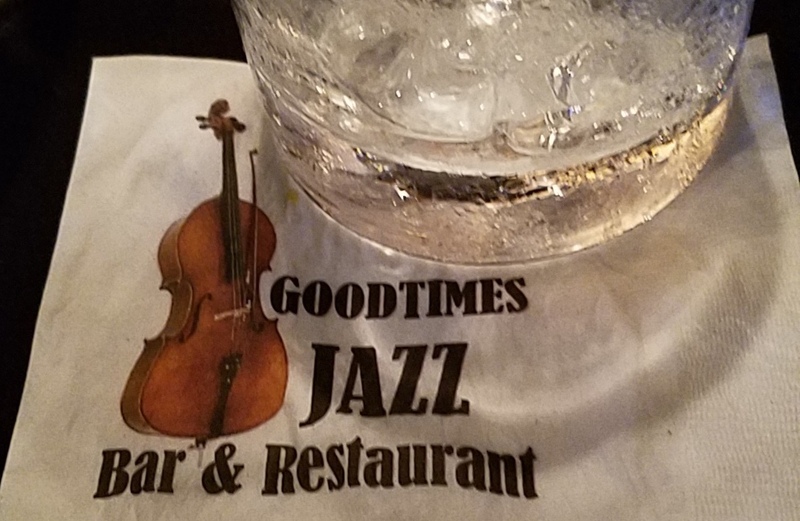 So we popped in and ended up having dinner at the Good Times Jazz Bar and Restaurant, while listening to some great music. While we were having dinner, a friend messaged us to say, “Don’t miss Lulu’s Chocolate Bar.” We didn’t! Great drinks and desserts.